The wooded banks of the Alabama River, the site of a savage conflict in the Creek War of 1813-14. Ace scout Deuce Richardson kicked up an epic from the Creek War, featuring one of the great Frontier Partisans — Sam Dale. 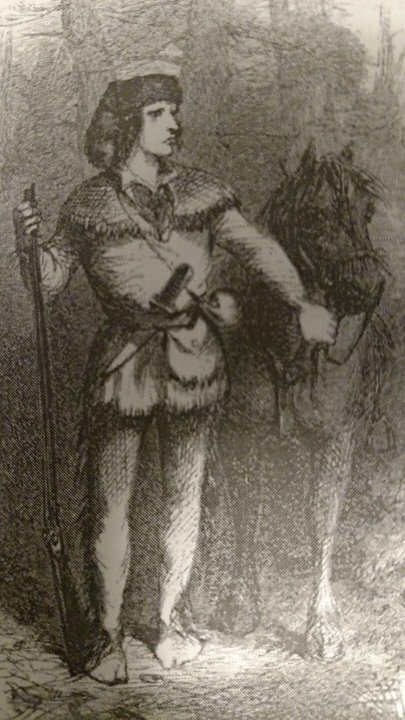 Often called “the Daniel Boone of Alabama,” he is more properly seen as a peer of Simon Kenton or Captain Sam Brady: a Ranger of exceptional fortitude and prowess. The Canoe Fight is one of the classic engagements in the annals of the Frontier Partisans. Sam Dale was a real-deal 100-proof badass. A hunter, a trader, a scout, a smuggler and a spy — and eventually a brigadier general and a founding father of the state of Alabama — he was as rough-and-ready and as tough as nails as any Frontier Partisan ever was. He embodied the archetypal characteristics of that breed: He was a big, athletic man, over six feet tall and weighing about 175 pounds, resilient enough to absorb a wound or take a beating and keep coming. He was honest, brave — and bad with money and often broke. Like Simon Kenton, he was big-hearted and, while a fierce fighter, he wasn’t a hater and he was often sympathetic to the warriors he fought against. 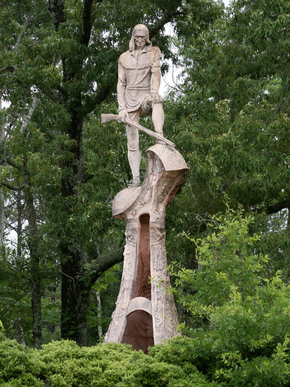 On November 11, 1813, he led a company of 45 men out of Fort Madison deep in central Alabama to try to sweep Muscogee (Creek) militants known as Red Sticks from the country where they’d been harrying troops and settlers with terrifying effect. Another 40 man unit was led by a Captain Jones. Captain Sam Dale — dressed in hunting shirt, buckskin leggings and a bearskin cap — led his contingent up a briar-choked, heavily wooded path toward an abandoned plantation owned by a settler named Randon at the junction of the Alabama River and Randon’s Creek. More a scout by temperament than a military commander, Dale was 100 yards or so ahead of his men, accompanied only by another renowned hunter by the name of George Foster. The two frontiersmen rounded a bend in the pathway and ran into a party of five mounted warriors. Dale threw his rifle to his shoulder and blew the leader out of the saddle. Foster shot and wounded another and the rest fled. The big-hearted Dale later returned to bury Milfort’s ‘fleshless bones’ on the spot where he’d killed him and claimed that when he was all alone in the woods at night, he could hear his friend’s plaintive voice in the trees. But for now, he pressed on to Randon’s plantation. Fortunately, the Creek warriors — who, it turned out, were led by the chief militant William Weatherford himself — weren’t sure where exactly Dale’s force was or how many men were on the bank, and they hesitated to cross open ground into the muzzles of American rifles. Otherwise, Dale’s little command would surely have been wiped out. A young scout climbed the river bank to see for himself the approaching Indian force — and for his trouble drew a hail of fire. His clothes were shot full of holes and the stock of his musket was shot away. The force of the blow to his weapon sent the lad tumbling 25 feet down the bank. Miraculously, he was unhurt. At this juncture, the Americans on both sides of the river spotted a canoe full of Creek Warriors running down the river. This was no slim and stately birchbark canoe — it was a massive war canoe hacked and burned out of a giant cypress log. It carried 11 warriors. For unknown reasons, two of them bailed out of the craft and made their way to shore, perhaps determined to flank Dale’s men. Stalwart teenaged Frontier Partisan James Smith hollered to his buddy Jeremiah Austill, “Let’s go kill them!” and the young frontiersmen took off after their quarry. Smith shot one through the head, but Austill, his moccasins and leggings logged with water from wading through a swampy feeder stream, couldn’t draw down on his man, who escaped into the forest. 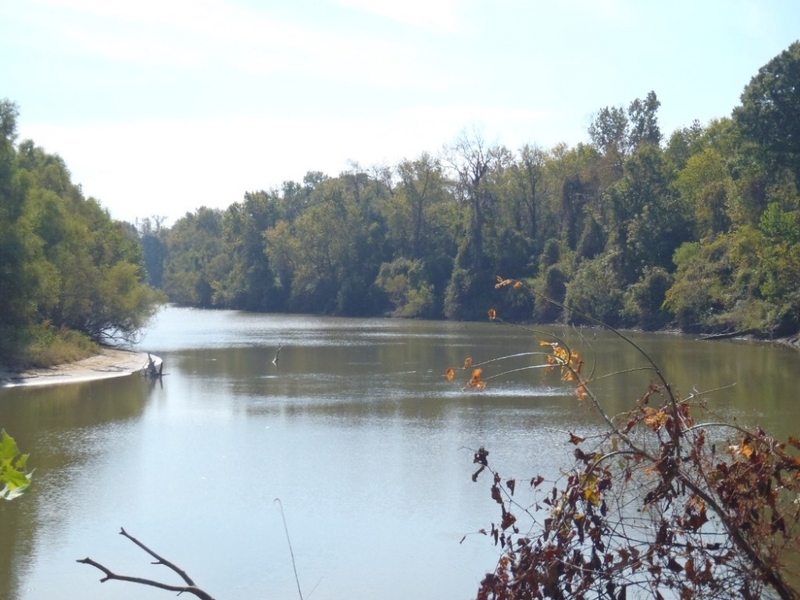 Meanwhile, Dale yelled across the river for Jones’s men to paddle out and take on the Creeks. A dugout left the west bank, but as soon as the crew got a good look at the wildly painted Creek warriors, they backpaddled away and skeedadled. Dale was infuriated. He may have been big-hearted, but he was combative as hell, and he wasn’t going to let the war canoe just slide on by and perhaps land and engage his little force. Fortunately, a free black man named Caesar had paddled in to the east bank with a canoe big enough for a few men. Dale jumped in and called for volunteers. The hot-blooded Smith and Austill jumped in, but no one else was up for a fight on the open water against odds. Dale “volunteered”s Caesar and the four men paddled out into the Alabama to tangle with the nine remaining Creeks. The canoes came against each other and Caesar held the craft together as the combatants went at each other with paddles, war clubs and clubbed rifles. Austill took a club to the head, but managed to wrestle the club away and toss the warrior into the drink. When he popped up, Austill brained him with his own war club. After bending their rifles across a couple of Creek skulls, Dale and Smith leaped into their war canoe. A warrior took a swing at Dale’s head with a rifle and the frontiersman dodged, painfully absorbing the blow with his shoulder. Caesar passed Dale a musket with a fixed bayonet, and Dale ran the big warrior through, then drove the bayonet into another warrior and pinned him to the canoe. The furious melee lasted only a few minutes. The three frontiersmen killed the nine Creek combatants, leaving the war canoe awash in blood and brains. They heaved the corpses overboard and headed to shore. Austill was a bit the worse for wear, with a titanic headache from the war club and bruised and battered arms from warding off a rain of other blows. He stood woozily in the canoe as it slid toward the east bank of the river — and saw a chilling sight. A Creek warrior was crouched on the embankment with a big-bored rifle trained on him. That bore must have looked like the mouth of hell as Austill sailed right into it. The young Frontier Partisan turned sideways to present a smaller target and sucked in his breath as the warrior fired. The ball hurtled by an inch from his guts. The warrior turned and disappeared into the brush. The Canoe Fight was over. A monument to a badass. The Canoe Fight made Sam Dale a regional hero. He went on to a distinguished career as a delegate of the Mississippi Territory and a member of the first general assembly of the Alabama Territory, (1819-20, 1824-28). He lived out his long and active life in Lauderdale County, Mississippi, where he became that county’s first representative in the Mississippi Legislature in 1836. He died in 1841. Jeremiah Austill became a leading pioneer of Alabama — a merchant, planter, county court clerk, and state legislator. He attended Andrew Jackson’s presidential inauguration. He shook off his Canoe Fight injuries and lived a vigorous life till 1879. Little is known of Smith, other than that he moved from his native Georgia to Mississippi after the war and lived there until his death. 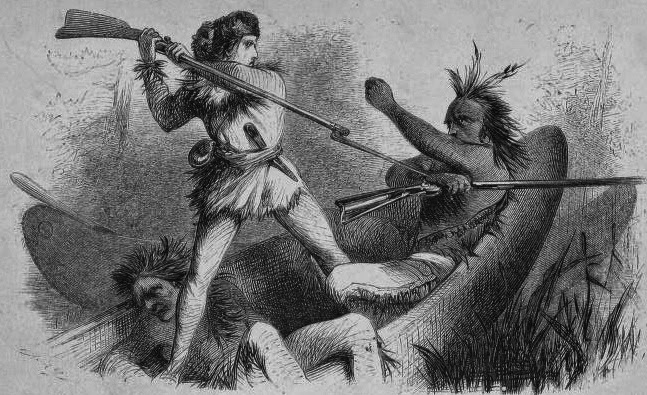 (Details of the Canoe Fight are drawn from the account in the magnificent A Paradise of Blood: The Creek War of 1813-14, by Howard T. Weir III and the narrative of Jeremiah Austill). Now THAT is a rousing tale of bloody battle! I don’t remember Robert E. Howard mentioning Dale, but he certainly knew a lot of history of the South during frontier days. Both sides of his family came from the South. No reason why that shouldn’t come down in the next wave of iconoclastic hysteria. Fascinating. The story of the scout having bullet holes in his coat but no wounds reminds me of a similar story of George Washington. One has to wonder at the odds of it happening. 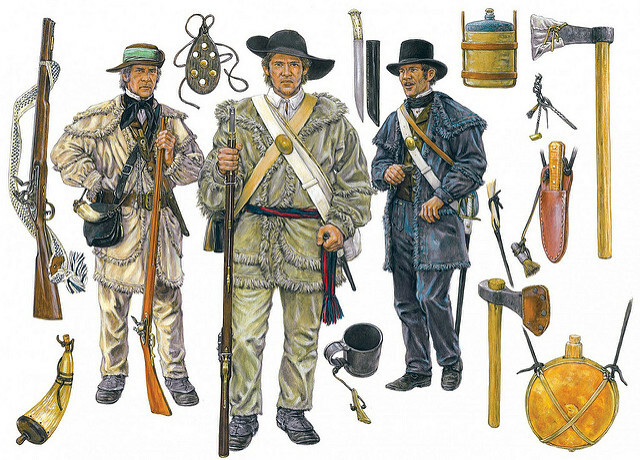 It’s interesting that some of the frontiersmen carried war clubs. I often think of the Indians carrying clubs but not the frontiersmen. Now those men were born with the “Bark on”. Today’s touchy – feely crowd would be ill suited to go toe to toe with them.